Sleep apnea is a chronic condition that causes a person’s breathing to be interrupted during sleep. Millions of Americans have sleep apnea and, interestingly enough, there seems to be a link between sleep apnea and obesity. The question is what comes first, sleep apnea or obesity. Researchers have determined that sleep deprivation can impair metabolism and disrupt hormone levels, in particular the hormones that tell the brain “I’m full.” And people who have sleep apnea might also have high blood pressure, elevated levels of fasting glucose and high cholesterol, which can all be made worse by a lack of sleep. So, it’s a vicious cycle: weight gain leads to sleep apnea, which leads to hormonal imbalances, which leads to more weight gain, which worsens sleep apnea and on and on. In particular, the risk of obstructed airway sleep apnea rises with weight gain in the neck and trunk area. Weight gain here increases pressure on the airway when the throat muscles are relaxed during sleep. In fact, neck circumference can be a reliable predictor of sleep apnea. Men with a neck circumference of 17 inches or greater, and women with a neck circumference of 16 inches or greater, are more likely to have sleep apnea. Sometimes, the best way to treat obesity can be to treat the underlying sleep problem. 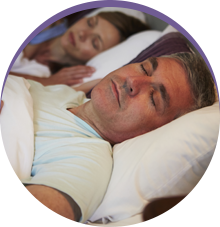 At Sleep Rehab, we treat sleep apnea with top-of-the-line and FDA approved oral appliances. 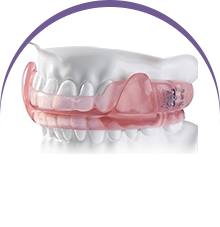 We offer multiple types of oral appliances, depending on the patient. All oral appliances work by repositioning the jaw and reducing airway collapse during sleep breathing. Eat a healthy diet, including lean protein, such as chicken and fish, and fresh fruits and vegetables. Avoid fast food and food that is high in fat and carbohydrates. Exercise regularly, which can help you lose weight and improve the quality of your sleep. Try to get at least seven hours of sleep each night in order to feel awake during the day and to help your metabolic and hormonal systems function well. 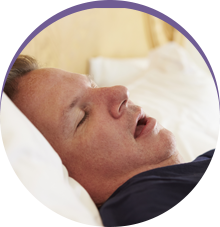 If you are overweight and are experiencing some of the symptoms of sleep apnea—loud snoring, gasping for breath at night, a morning headache, sore throat or dry mouth, frequent urination at night and difficulty concentrating during the day—then Sleep Rehab offers comprehensive treatment for sleep apnea that is non-invasive, non-surgical and non-pharmacologic. Contact Sleep Rehab today to find out how we can help.